I know one university that charges US$400 for a basic reading course. The reading course takes two months studying full time to complete. By using our product for two hours as day you can expect to be reading well within a few weeks. Our system will teach you faster than a personal tutor at a fraction of the price. Trying to learn Thai with a personal tutor will end up costing a lot. We guarantee that our system will allow you to develop a working knowledge of the language faster than you could by using a personal tutor. We are not saying that a personal tutor is not useful. They can be very helpful for when you have built up a basic understanding of a language and want to further your studies. Learning the basics can be done systematically and our product has been designed to make learning the fundamentals quick, easy and cost-effective. Our program is only a little more expensive than a few inefficient Thai language books. You could easily spend a couple of hundred dollars on standard run of the mill text books that would end up frustrating you due to your lack of progress. Our system will quickly and efficiently take you from knowing nothing about the Thai language to being able to read, write and converse. If for any reason you don’t like HighSpeedThai you won’t pay a cent. We know that our product works, we know this from all the satisfied customers who have used it. This makes us sure you, too, will like our product and most importantly learn a lot of Thai from it. If you are not happy with your purchase for any reason, let us know within 30 days and we will happily refund all your money. If you don’t approach learning a language in the right manner, it is quite easy to waste a lot of time. I would assume that I have wasted at least 300 hours by learning Thai using ineffective methods. That is nearly one hour per day for an entire year! The proven language acquisition methods that have been implemented in our program will ensure that you learn quickly and efficiently. It’s cheaper and better value than other products. Other programs which only teach you a couple hundred words can cost over 200 dollars. The HighSpeedThai program teaches you how to read and gives you a vocabulary of over 1,600 words. In terms of value the HighSpeedThai program is unbeatable. You will also end up saving a lot of time using our program. For most people time is very precious, so how much would you pay to save yourself 200 hours or more in time? Efficient learning will save you from experiencing tremendous frustration. If you have tried studying Thai using any of the popular books out there, you will know exactly how boring and frustrating it can be. In front of me I have a popular book. Chapter 6 includes 104 words in a vocabulary list. If I wanted to scare someone off from learning a language, this is exactly how I would do it. I would prepare a large list of words and ask them to learn them all without assistance. The average person would get so frustrated trying to do this that they would likely put the book down and never open it again. We will never do this to you. We are familiar with the workings of the mind in relation to language learning. All the information in our product has been put together strategically to make sure that learning is quick and efficient. Every single word that you learn in HighSpeedThai has been carefully selected to provide you with the absolute greatest value for your study time. As the tremendously wise Benjamin Franklin says “An investment in knowledge always pays the best interest.” Investing in HighSpeedThai is not simply investing in knowledge. You are investing in a system that will teach you a new language which in turn can radically change your life, open up countless new opportunities and even help you to live a more fulfilled life. You will find that HighSpeedThai is more efficient and effective than other methods of study. This includes classes and private lessons. Your Thai ability will rapidly improve while using HighSpeedThai. Once you have completed the HighSpeedThai program, you will have a solid base in the Thai language. You will be very happy with your purchase of HighSpeedThai. If you are not happy for any reason, please let us know within 30 days of the date of purchase and we will happily refund all your money. Click on the ‘Buy Now’ button below to purchase. 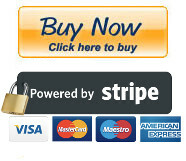 Your purchase will be handled by Stripe.com, a company whose prime business is to handle online transactions safely and securely. Stripe.com has processed hundreds of millions of dollars in sales for millions of buyers. 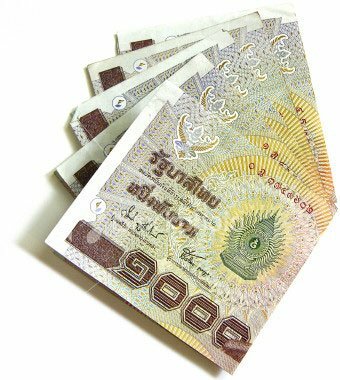 Save 1,000 Baht when you sign up to our newsletter and purchase the HighSpeedThai system. Please click	here to join our newsletter. Upon joining, we will email you a coupon that is to be used during the check-out process. Below are just a few of the features included in the HighSpeedThai system. You will be taught a vocabulary of over 1600 of the most highly valuable and useful words. These words will be taught to you in a manner which incorporates proven language learning principles which make learning quick, efficient and enjoyable. The system includes over 100 hours of audio. Having such a large amount of audio ensures that you develop excellent listening, comprehension and pronunciation skills. The 1000 page interactive e-book clearly explains the fundamental concepts of the Thai language in a straightforward manner that is easy to understand. Visual association mnemonics are used to help you to learn to read Thai quickly and easily. Our uniquely designed section on the five Thai tones helps you to develop your ability to hear the differences between the tones first. Once you can hear the differences between the tones, we will help you pronounce them. Trying to learn how to pronounce the tones without being able to hear them would be like a deaf person composing a song. The Thai language has a number of sounds which are tricky for foreigners to pronounce. Our pronunciation section focuses on these sounds. You will find, with a relatively small amount of practice that your pronunciation skills will drastically improve. The vocabulary lessons strategically break down words allowing you to learn more vocabulary in a shorter period of time. New information is presented in chunks which allow it to be learned and retained in a highly efficient manner. The spaced repetition software included in our program ensures that everything you learn locks itself firmly into your long- term memory never to be forgotten. Our speaking section will give you practice using the vocabulary and grammar patterns that you have learned and ensures the ability to use what you have learned in a generative matter. You will develop a deep understanding of the vocabulary you learn by listening, reading and using the words in multiple contexts. Multi-context exposure encourages deep and thoughtful processing of words, which makes recollection and usage easier. Click the ‘Buy Now’ button below to purchase the full HighSpeedThai system for 5900 Baht (Regular price is 6900 Baht). If you have not signed up for our newsletter, you will need to do this now. Please click here to do this. Upon signing up, we will instantly send you out an email coupon which entitles you to the 1000 Baht saving. Simply input the coupon code during the check-out process. Thai fonts can be quite creative and therefore they can be quite a challenge to read. Our cheat sheet will give you practice reading a large number of Thai fonts. After you have completed the exercises in this cheat sheet, you will be able to quickly and easily read almost any Thai font. At 280 Baht, the Thai Font Cheat Sheet e-Book is a very worthwhile investment. Once purchased, it is available for immediate download. A coupon to recieve 1000 baht of the HighSpeedThai program. A detailed outline of the program. The HighSpeedThai table of contents. Feedback from other users about the prograam. Tips on how to learn Thai more efficiently. We will also keep you up-to-date with any new products or technologies which will help you master the Thai language at a rapid pace. As a newsletter subscriber you will be given discounts on any new products which we release. We will not share your details with anyone. We hate spam. Your email address will be kept 100% confidential. You should receive less than one email a month from us. Each email contains a link which allows you to quickly remove yourself from our newsletter. We are in the business of creating high quality language products, not sending spam. Be sure to contact me if you have any questions. © Copyright HighSpeedThai.com. All Rights Reserved.